Texas History, Chapter 3 NATIVE TEXANS. 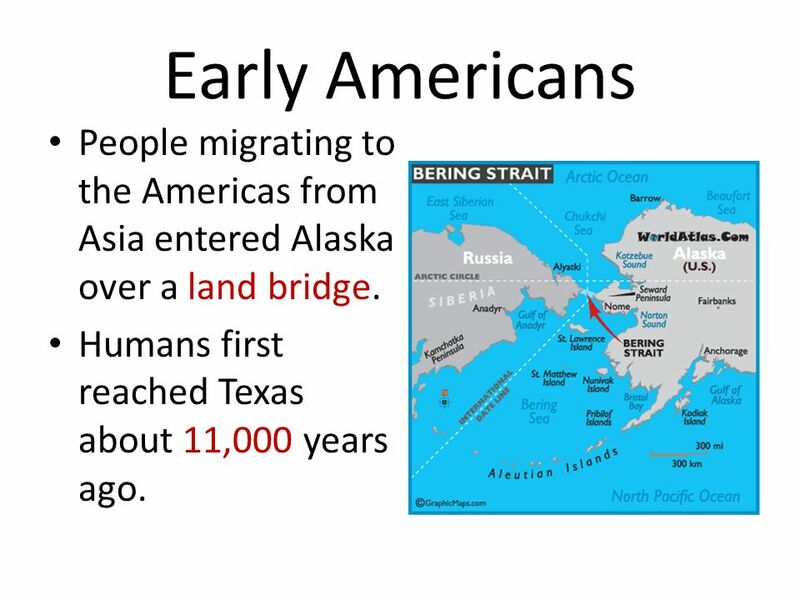 Early Americans People migrating to the Americas from Asia entered Alaska over a land bridge. Humans first reached. 2 Early Americans People migrating to the Americas from Asia entered Alaska over a land bridge. Humans first reached Texas about 11,000 years ago. 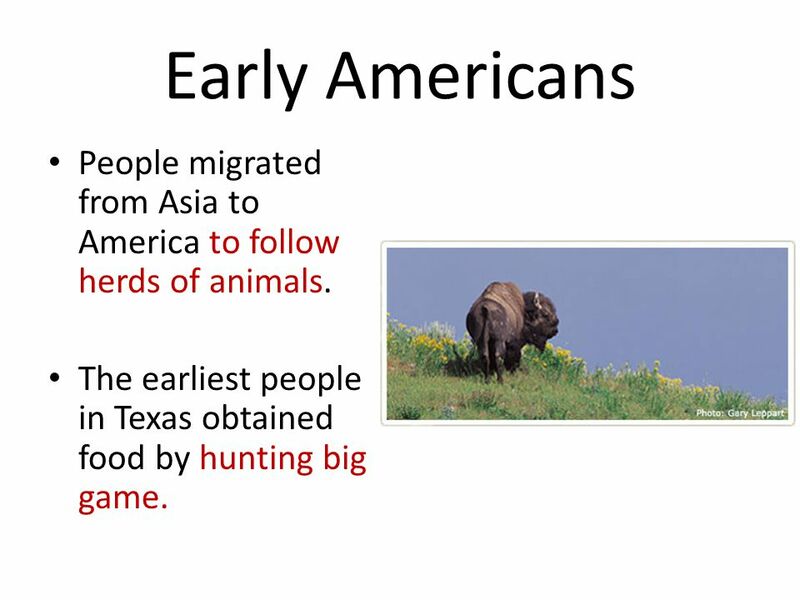 4 Early Americans People migrated from Asia to America to follow herds of animals. 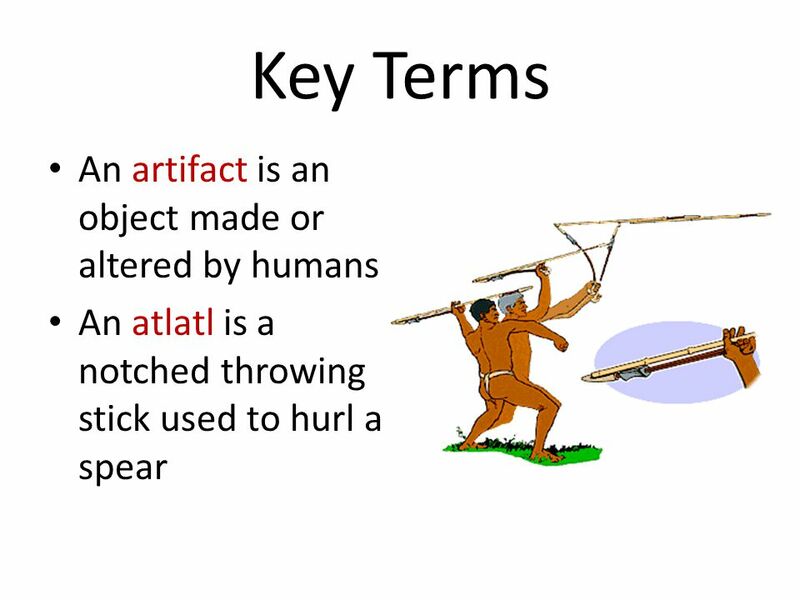 The earliest people in Texas obtained food by hunting big game. 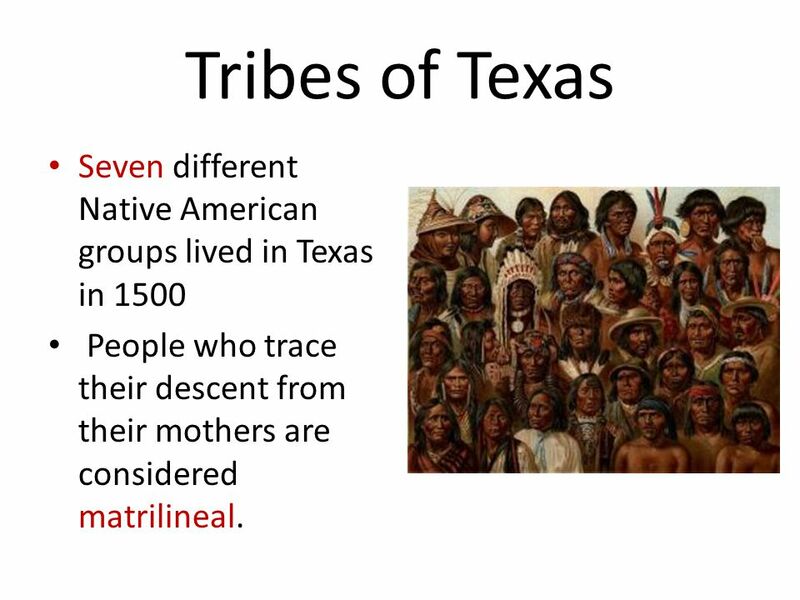 6 Tribes of Texas Seven different Native American groups lived in Texas in 1500 People who trace their descent from their mothers are considered matrilineal. 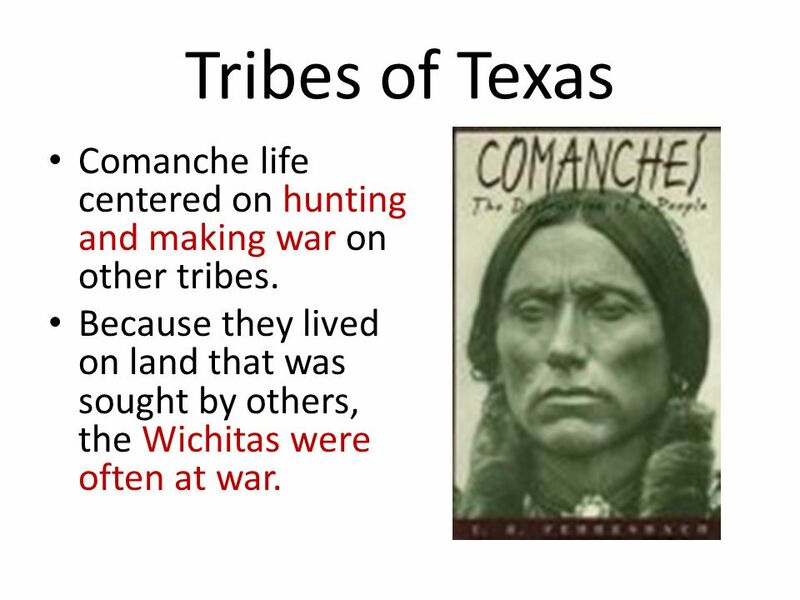 8 Tribes of Texas Comanche life centered on hunting and making war on other tribes. Because they lived on land that was sought by others, the Wichitas were often at war. 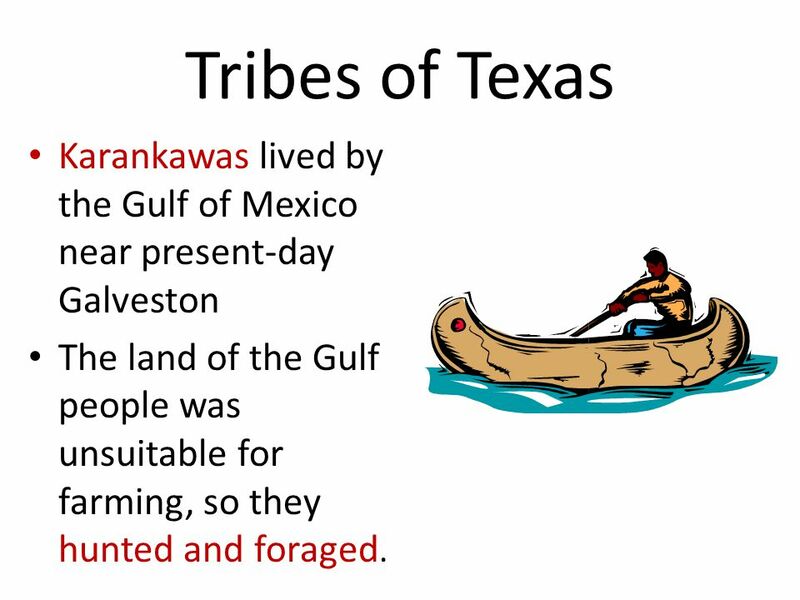 9 Tribes of Texas Karankawas lived by the Gulf of Mexico near present-day Galveston The land of the Gulf people was unsuitable for farming, so they hunted and foraged. 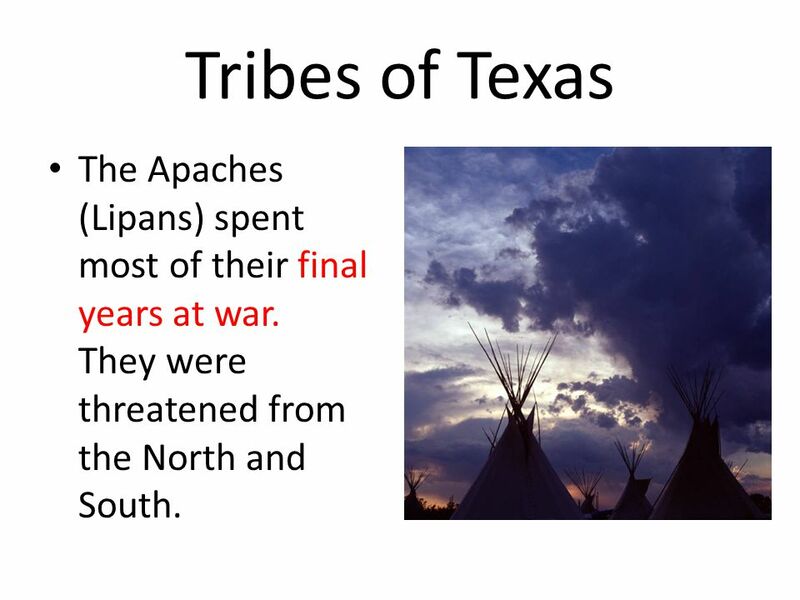 11 Tribes of Texas The Apaches (Lipans) spent most of their final years at war. They were threatened from the North and South. 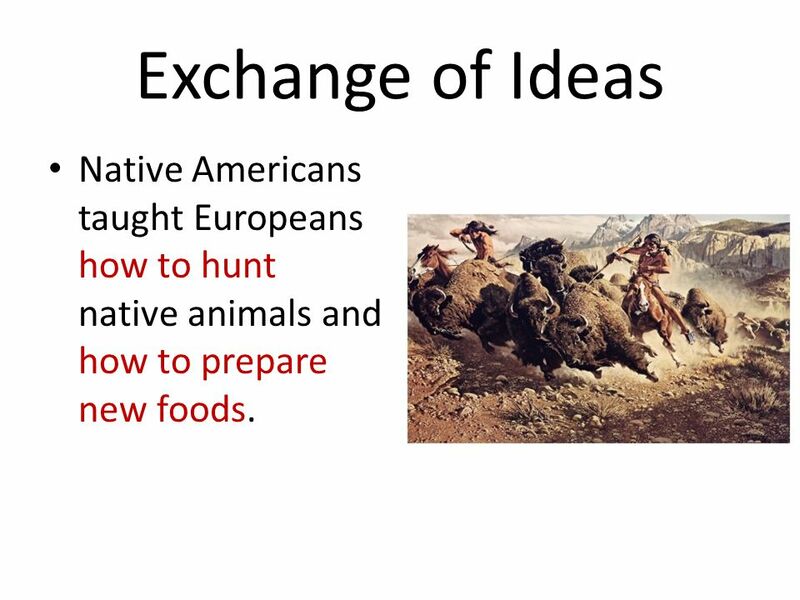 13 Exchange of Ideas Native Americans taught Europeans how to hunt native animals and how to prepare new foods. 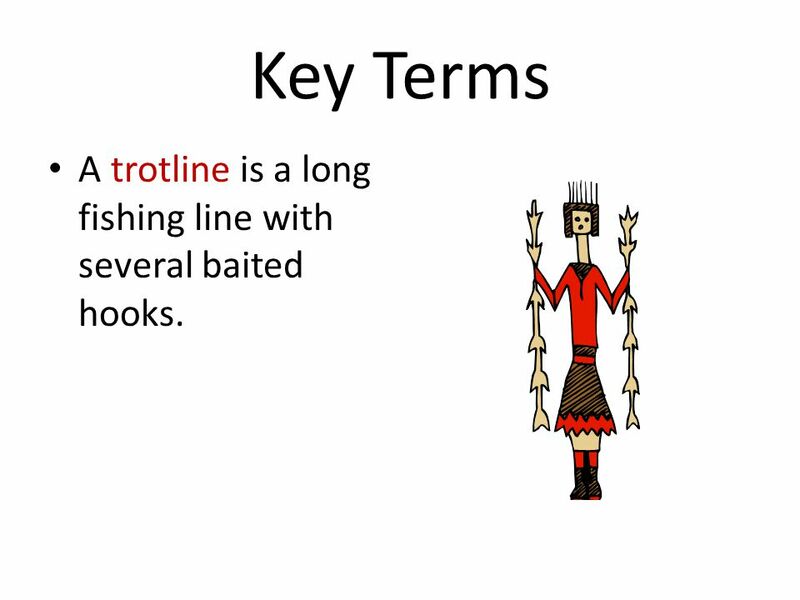 15 Key Terms A trotline is a long fishing line with several baited hooks. 16 Key Terms Adobe is building material made of sun-dried bricks. 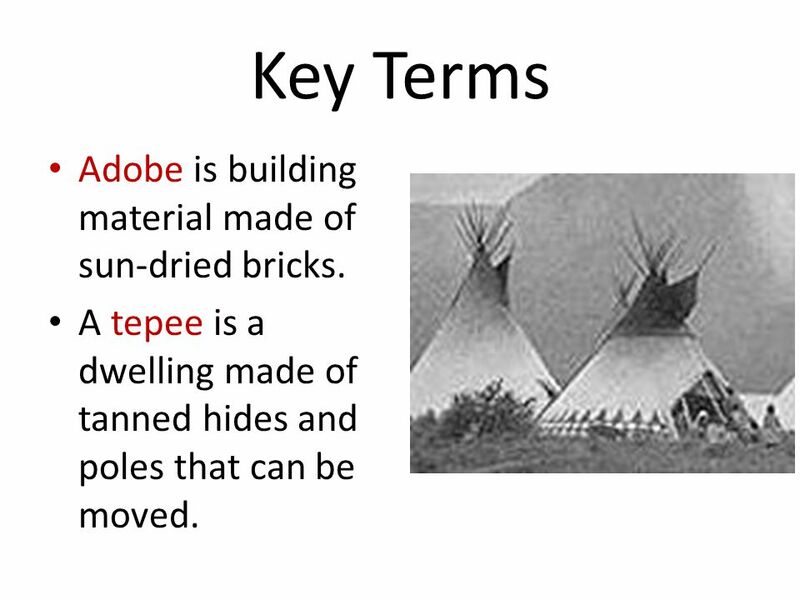 A tepee is a dwelling made of tanned hides and poles that can be moved. 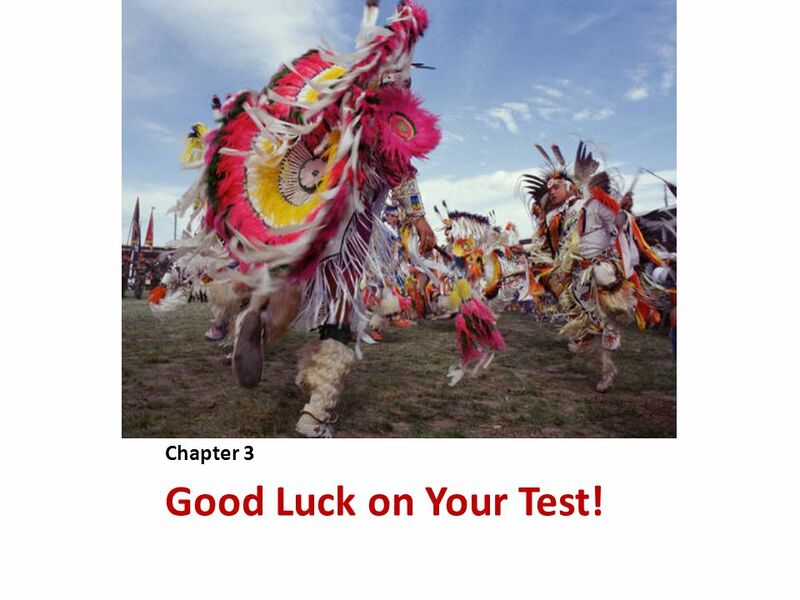 17 Chapter 3 Good Luck on Your Test! 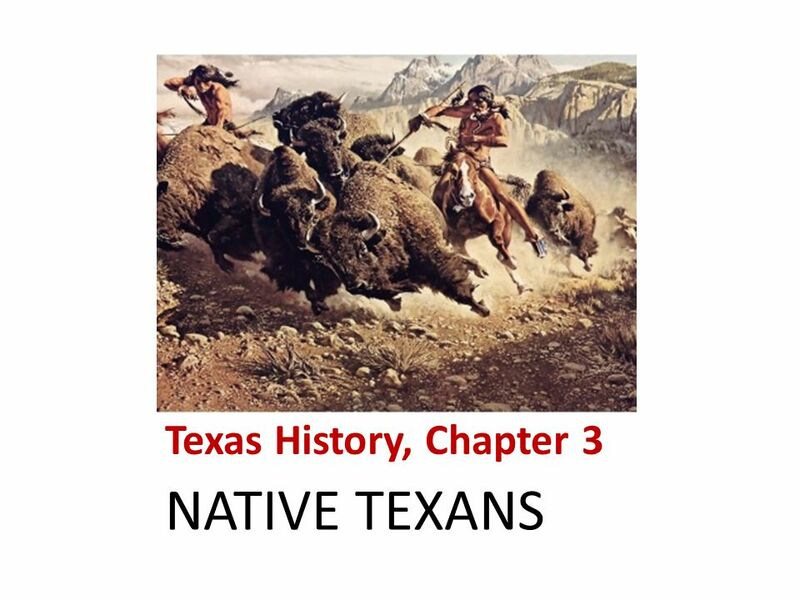 Download ppt "Texas History, Chapter 3 NATIVE TEXANS. Early Americans People migrating to the Americas from Asia entered Alaska over a land bridge. Humans first reached." 7 th Grade Texas History Ch. 3 A:B: ArchaeologistAnthropologist #1 Someone who studies evidence of past human activities C:D: ShamanEpleta. Texas History, Chapter 3 NATIVE TEXANS. 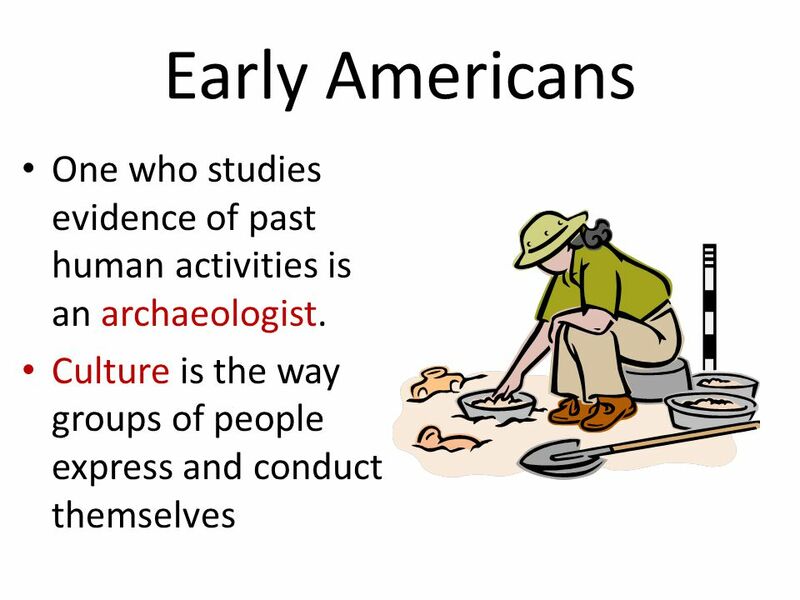 First Inhabitants Human Cultures in North America. 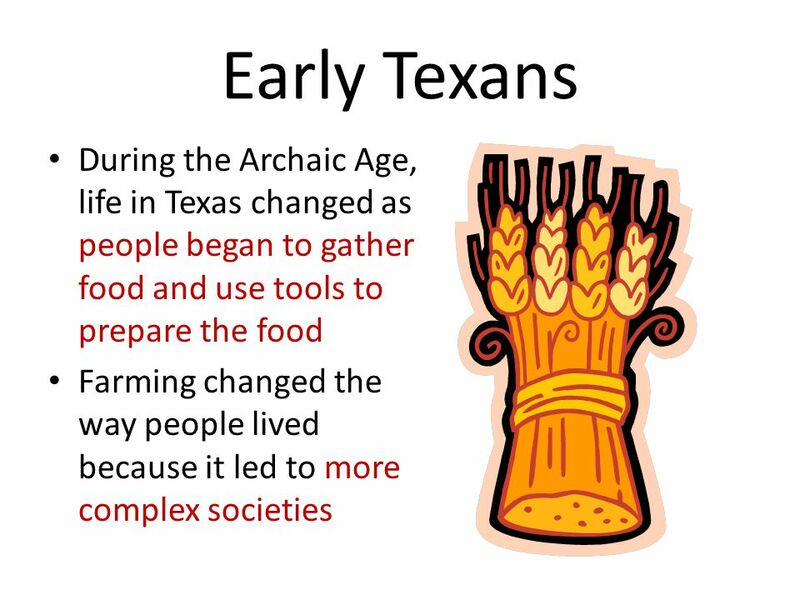 The Earliest Texans. Hunters Lived here thousands of years ago. Moved from place to place following their herds. When herds died out some learned to farm. The Ice Age And The First Americans. Huge Sheets of ice that formed over the land. 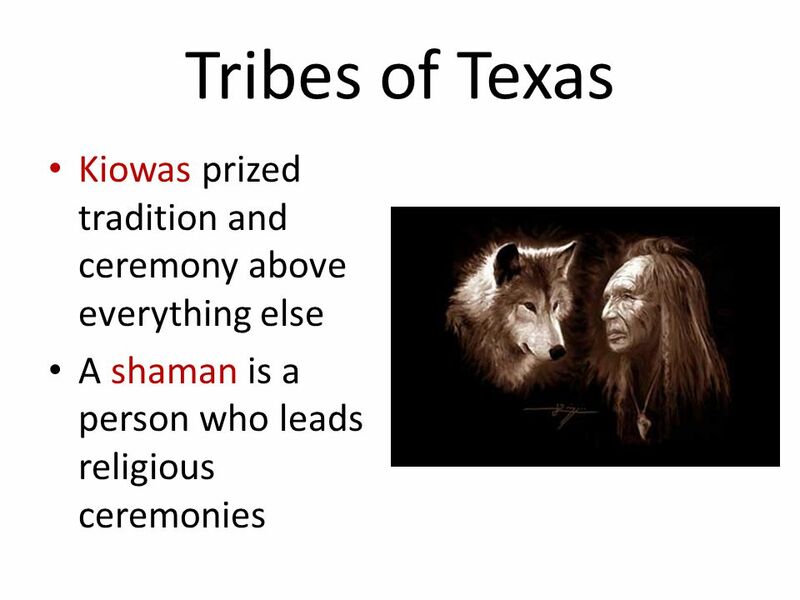 Objective Analyze and compare the cultures of Native Americans in Texas prior to European colonization. Jeopardy Prehistoric Historic Tribes CultureArtifacts Vocabulary Q $100 Q $200 Q $300 Q $400 Q $500 Q $100 Q $200 Q $300 Q $400 Q $500 Final Jeopardy. 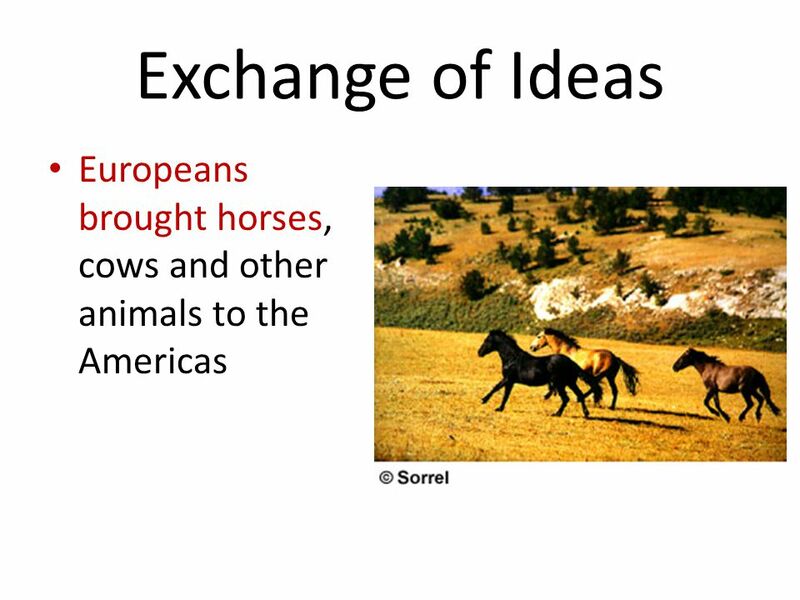 Main Idea: The first people to live in the Americas came from Asia in a series of migrations. Their patterns of living reflected a remarkable adaptation. 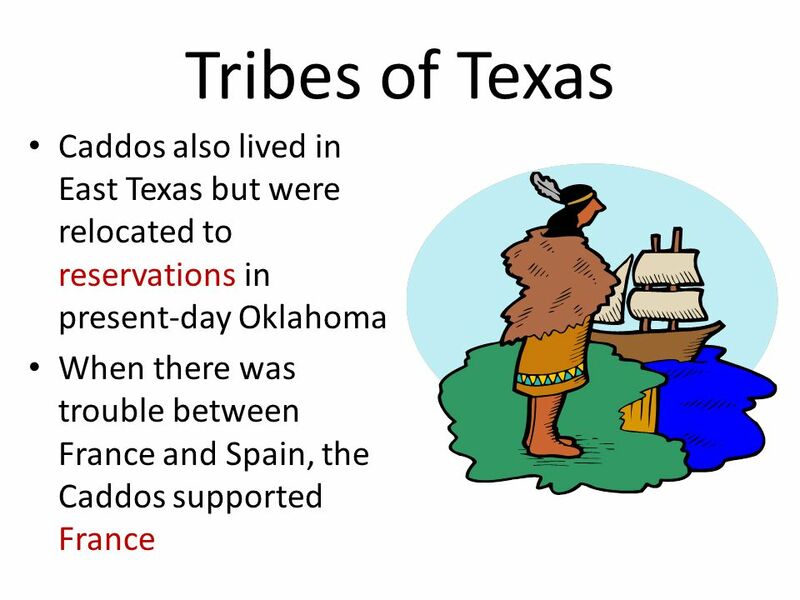 Texas History Chapter 3 Section 3 Pueblo and Plains Cultures.